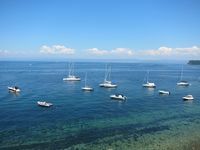 Piran Apartment With Gorgeous Sea Views, Direct on the Sea, renovated! 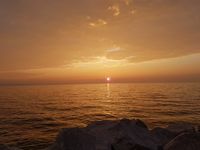 Property 2: Piran Apartment With Gorgeous Sea Views, Direct on the Sea, renovated! Piran Old Town Apartment - Near Sea, Terrace, Renovated & Tastefully Decorated! Property 11: Piran Old Town Apartment - Near Sea, Terrace, Renovated & Tastefully Decorated! Property 19: For every active tourist, apartment Mimi is the best choice in Istria! The location is perfect - right near the main square and walking distance to the marina and restaurants. It was a little noisy at night but not too bad. The apartment was clean with newer bathroom and kitchen. The bed wasn't the most comfortable, and there are only a few hangers in the closet, so we ended up leaving most of our clothes in the suitcases. The biggest negative was the narrow, spiral stairs leading to the apartment. We had 2 very large, heavy suitcases that proved to be a huge challenge to get up the stairs. We were happy to have the clothes washer! Overall we did enjoy our stay here!